Beagleboard.org organization already tried to go Blue with BeagleBone BlueSteel-Basic that was supposed to a the single board computer to be used by OEM to integrate into their design instead of BeagleBone Black development board. For some unknown reasons this never happened, but they’ve now reused the color to introduce BeagleBone Blue board designed for robotics and UAVs. 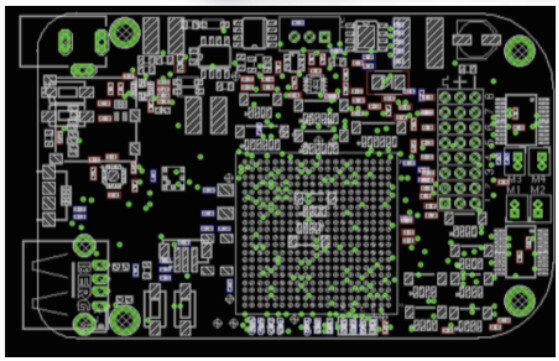 The board is still in development, and the only picture I have is the one of the PCB layout. The project was born thanks to a collaboration between Beagleboard.org and University of California San Diego, as they currently use a BeagleBone Black with a Robotics cape as shown in the first picture of this post for their robotics educational kits, and started to create a single board computer for this project. The BeagleBone Blue will be software compatible with BeagleBone Black and support Debian, Ubuntu Snappy, ROS, Ardupilot, Machinekit, etc.. as well as Cloud9 graphics IDE on Node.js, among others. 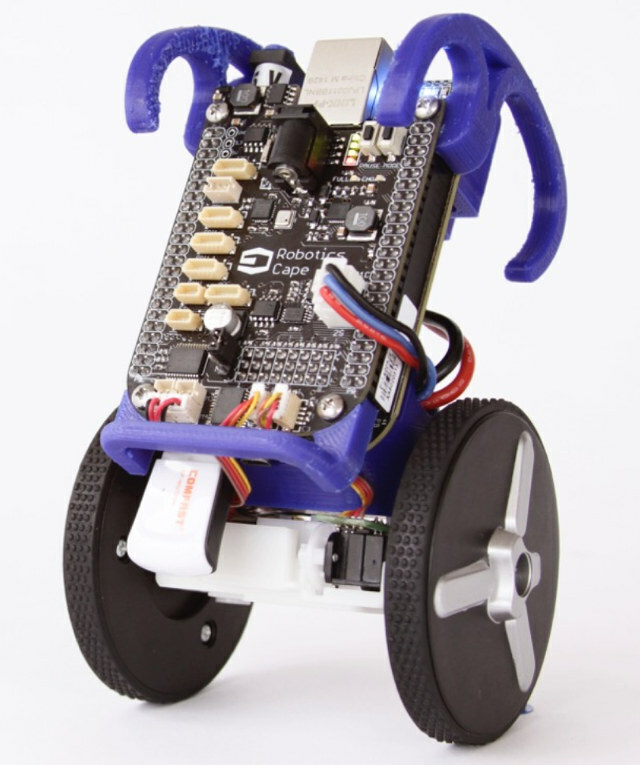 The kits shown in the video are EduMiP self-balancing robot, EduRover four wheel robot, and there will be a third kit called EduMAV, which I guess should be a “Miniature UAV”, e.g. a mini drone/quadcopter. There’s currently no information on availability and pricing. Further details will be posted on BeagleBone Blue page as the project progresses. the industrial beaglebone black is the beaglebone black industrial 4g. I know mcm electronics sells them. Also I have been waiting for this thing since 2014 when it was known as the strwason robotics cape. Can they just bring it out already and stop forcing the beaglebone black to lag behind. It would have been great to see a new beaglebone black that was quad core with the more powerful pru’s, more ram, maybe built in wifi that works out of the box. I dont mind paying more for better boards but I do love my beaglebone black.